Hey friends! 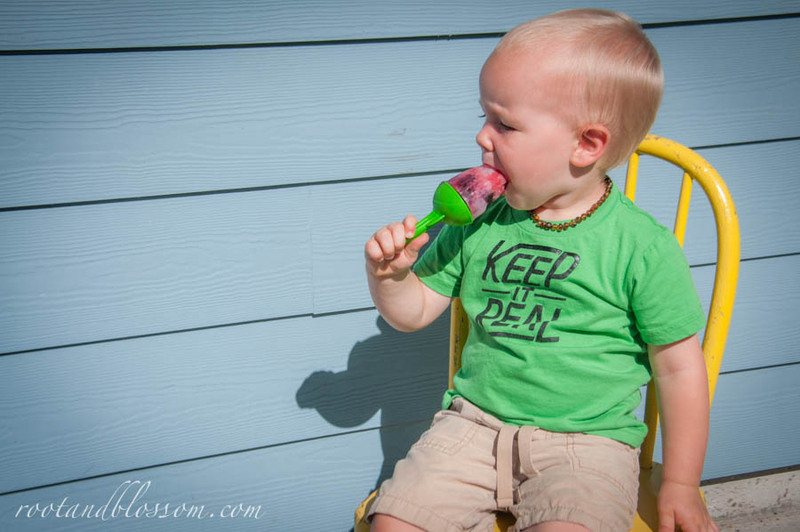 I was recently asked as a blogger if I'd be interested in working with the up and coming children's clothing line company Young and Rad- they send me items and I share and review them with you! As always, my reviews are honest. Please check out my disclosure page if you have any questions or concerns. Based in the USA this company was created by a group of designers, fashion bloggers and of course mothers who felt that the current clothing lines and options were missing the mark when it came to dressing children to fit their raw, real (wink), and carefree spunky personalities. With just one quick look at their website you will notice that their clothing style is indeed different than what you'd find at, let's say, your local Target. Now I have no beef with Carter or any of those other mega huge clothing lines for kids but I did find it refreshing to see something new. Okay, I know I said I'd talk about the company and then share a review for my chosen piece but can I please take a second and mention how crazy awesome just the packaging is?! I'm someone who cherishes a good wrap job and presentation just as much (if not more) than what's inside. I gave a sneak peak for this post last week on Instagram only because I sort of flipped out (in a good way) when I opened the plastic packaging and found this awesome cloth drawstring sack rather than just a t-shirt stuffed in side at the bottom as I expected. 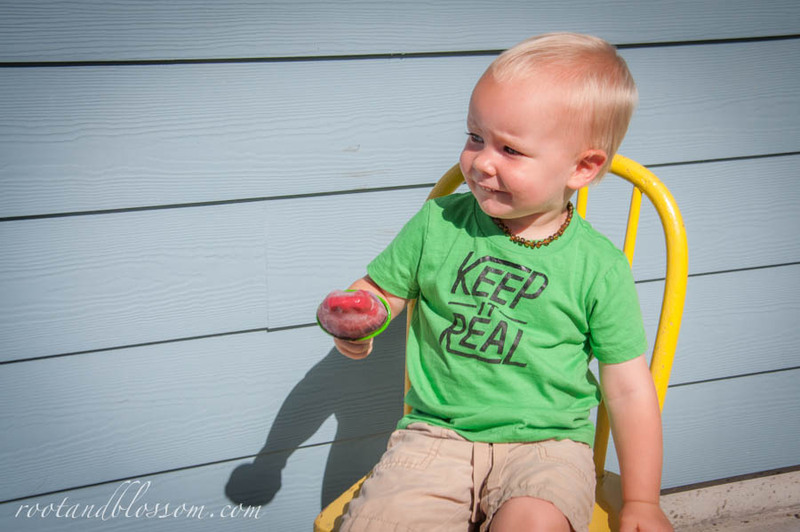 For my item to review I picked their Little Dudes 'KEEP IT REAL' shirt. The color is what drew me in while browsing online but I noticed that the color on the model differed from the color of the shirt in the stand alone picture. I was happy to see upon arrive that the color match was closer to that of the model because that's the color I was hoping for. We have a tough time fitting Gabriel for clothing more often than not because of his length. From the picture online it appears that the shirts are supposed to be a little longer style wise but because of our tall boy the size worked out PERFECTLY and it's now his best fitting shirt. The fabric is also very soft and seems comfortable to wear- can I have one too please? I have also already had the opportunity to washed it a couple times and did not see a noticeable change in the size or shape after washing and drying, which is always a perk! If you have a Little Babe at home instead of a Little Dude fear not, they have girl style options too! Though the girl section isn't quite as big they make up for that in their designs. Based off the feel and fit along, I'm looking forward to seeing new products from this company and something beyond the t-shirt. 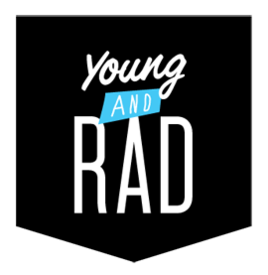 Have you heard of Young and Rad? 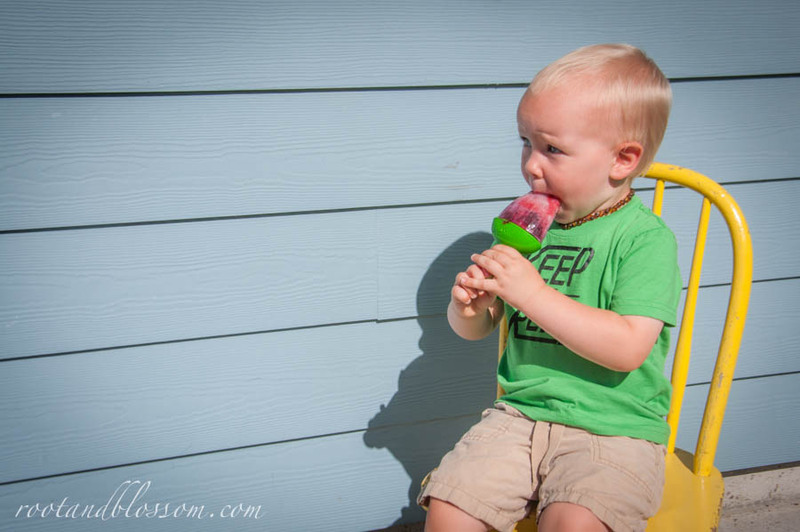 What's important to you when it comes to children's clothing?